Brink Designs is a graphic design company that specializes in Web Design, avatars, signatures, logos, and favicons. To order just state what kind of graphic you want. Plus it is all FREE but feel free to donate a little money to us. Here's how: Go here: http://markdmckinney.com/u!/index.php and then click donate. Note: It is okay if the title says Servo or Immortal Hacker-Pro Hacker account. The title was an error but all money you donate will be sent to us! Along with your order please also answer some quick questions so that you may get the best personalized result! What is your favorite color and second favorite color? Are you old school or highly modern or neither? Do you like a grunge feel? 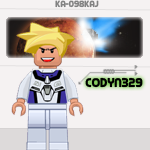 I would like an avatar please. Favorite is green, second favorite, yellow. I like the green bay packers, basketball, and mountain dew. Uh, I guess a little old school. Here's your order with a couple variants. Let me know what you think! If you want me to change, add, delete, etc anything just let me know! I like the bottom one. It looks great! Can I have the code for it? Thanks! Do you want anything in return? Like some MLN clicks? No no it's free and I'm happy to do it! Just spread the word about Brink designs if you can! And if you feel like it, please donate! 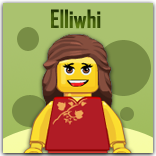 @Elliwhi: Here's your avatar and and a couple variants. Let me know if you have any input (additions, dislikes, etc). Favorite is green, second favorite is orange. Along with your order please also answer some quick questions so that our may get the best personalized result! 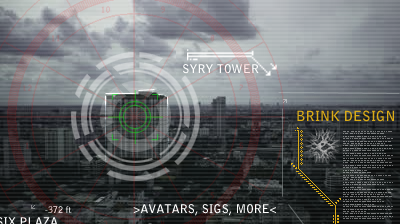 Could I have an avatar please? Favorite is blue, second favorite is yellow. Maybe like a nature theme? Do you think you would have time to do a signature as well? 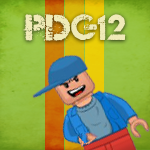 @Spud807 Here's your avatar. Your sig is coming soon! It's cool! I do like the underwater background. Could you maybe put in a different minifig? Thanks! I love the avatar. Thanks! For the sig could it just have my username in big letters with a fiery background? Thanks! 2.) Favorite hobby & interests? How about this? Let me know what you think! @Spud & @Codyn I'll get right on it! That one is awesome! Thanks! 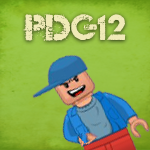 Here's your avatar. 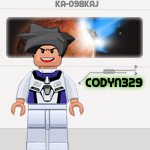 I'm so jelly for this one because I made everything (including the planets) in this avatar. Hope you enjoy! Thanks a lot, but could you change the "o" to an "a", and the hair color to black? Other than that, it looks awesome! Oh yeah sorry about that! Here's the new version. And I also have the blond one just in case you change your mind. Hope you enjoy and if you can, please donate as described in my first top post! Thanks! @M2com wrote: Oh yeah sorry about that! Here's the new version. And I also have the blond one just in case you change your mind. Hope you enjoy and if you can, please donate as described in my first top post! Thanks! Well, my hair is black, so I won't be changing my mind anytime soon, but thanks anyways! Great I'm happy you like it! Please donate when you can so I can keep this service free! I would also like a signature that says "click here to go to PDG's MLN shop" when you have time. There's no rush. Could it have an underwater background please? I plan on adding a link to it so people can click on it and it will take them to my MLN shop. I would like a signature please! Favorite hobbies and interests? Lacrosse, basketball, football. Generally a sporty theme. Hey M2Com, I tried to donate but it wouldn't go through. Does it take donations from debit cards? 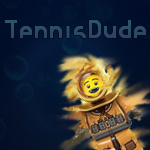 @Tennisdude wrote: Hey M2Com, I tried to donate but it wouldn't go through. Does it take donations from debit cards? If it is Visa or MasterCard! Thanks very very much for trying to donate! @Spud807 wrote: I love the avatar. Thanks! Was this what you were thinking of? Yeah! That looks great! Thanks again! @Packuzdudeguy12 wrote: I would also like a signature that says "click here to go to PDG's MLN shop" when you have time. There's no rush. Here it is! Let me know if I can do anything else for yah! It looks great! Do you know how to add the link of my shop forum into that? @Packuzdudeguy12 wrote: It looks great! Do you know how to add the link of my shop forum into that? @Arrow wrote: I would like a signature please! 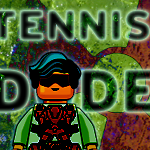 As I was trying to do the sporty theme I came up with this. 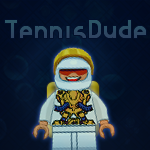 Do you still want the sporty theme or is this cool too? Let me know what you think and any comments and criticisms are welcome! Thank you sooooooo much M2com! I would donate, but I don't have a credit card. Are there other ways to? Do you have a PayPal? We can also arrange you sending the money to me physically. No, I don't have paypal. How would I physically get money to you? You could send it via USPS. Other than that, you would need a credit card of some sort to donate. Sorry for the late response! 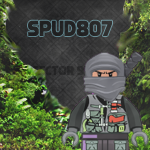 Here is your avatar, let me know what you think and anything else I can do for you! thanks! Its almost exactly what I want thanks for your time. No problem! Let me know if there's anything else I can do for yah! If you can, it would be nice if you could donate! 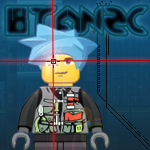 Any others that would like a sig, avatar, etc? I'd like an avatar please. Could it be Dark green background with my username in a lighter green font? And a minifigure (any minifigure really) below my username? Thanks for your order! Right now my programs aren't running but they should be in a couple days, I'll get right on ASAP. Ok thanks! I'm not in any hurry. Sorry about the extremely long wait! Here is your avatar! The look here is the radioactive lab, trying to mostly stick with green sense green is your favorite color. Let me know if you have any thoughts!